It’s finally time to get out that dusty suitcase, start your packing list and get organised for your much anticipated, luxury, African safari experience. Let’s face it, after your passport, the second most important item you will pack is your camera. This will be the instrument with which you capture those rare “Big Five” sightings or exquisite crimson African sunsets and hold on to them forever. Making memories however is not as easy as it may seem so we have put together just a few tips to help you on your way. Any digital camera will do the trick but if you want to get world-class shots of world-class wildlife we would suggest a SLR camera. In order to take worthy wildlife shots you will need a 300mm lens as a starting point. The higher you go the better for birds and smaller animals especially when shooting from afar. Best prize is to have at least two lenses. Batteries: A minimum of two. Just in case you lose one! Memory Cards: As many as you have (actually maybe buy one or two more especially if you like taking videos!) You can never have too many. Be sure to check plug configurations before you leave home and if you have the incorrect plugs you can usually buy an adapter at the airport. Some kind of portable storage device, flash-disc, external drive or laptop. Make sure your case is waterproof and durable. Tripod: This is only if you are very keen photographer. If you are happy to lug it around, then it is useful to have. Once you have everything charged, sorted and safely packed into its correct compartment in your camera bag you are good to go! If possible always carry your camera as hand luggage and keep it on you when arriving at your destination. You never know when you might want to start snapping away! 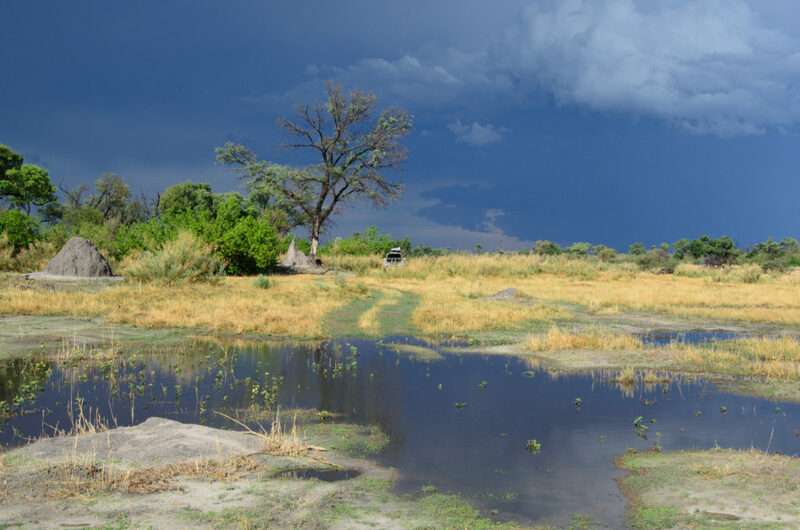 You have now arrived at your destination, the breath-taking African Wilderness surrounds you, the birds are chirping, the trees sway in the wind and you are overcome with a sense of peace, and the pulsating heart of nature. Don’t panic and don’t rush to capture this all on film, you have plenty of time and what you are seeing and experiencing is not going anywhere. Take a breath…a moment and take it all in. Now you can reach into your camera bag and pull out your old friend for the trip, I can assure you it will be in your hand day in and day out from now on! Before you know it you will be on your first game drive, expertly engineered around the best times to take photos in the African bushveld – the early morning and late evening… so convenient! To begin, have your camera set on automatic or the most appropriate setting for the current lighting. Your safari vehicle won’t have more than 6 people in it so you will have plenty of time and space to stop and take photos. Remember you can ask the guide to stop at any time if something catches your eye. He will be more than happy to stop for you. Don’t get too worried out about all the bits and pieces…motion, anti-motion, functions, shutter speeds, zoom etc. Be patient and take lots of shots. Play. Stop and look at each picture after you have taken it and learn from your mistakes. Enjoy your camera and your environment at the same time. Look through your viewfinder, don’t just look at the image on the screen. Take time to focus and consider your composition carefully. Frame your subject but remember you don’t always have to centre it. Take lots of pictures, you are living in the time of digital so go wild and you will get some beauties! Don’t put your camera away at sunset, this is when some of the best photos are taken. 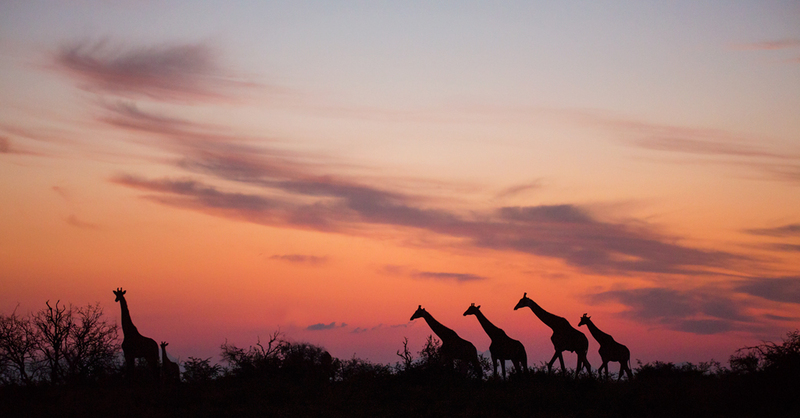 So why not try some silhouettes or some of the family having sundowners at the watering hole? On the night drive home, you could be in luck and spot a leopard on the prowl. Pop on your flash, focus on the eyes and you could nab one of Africa’s most extraordinary sights. One you will most definitely have to share with your friends back home! Just be careful that it is not a diurnal animal as using flash photography in this instance is often frowned upon in safari circles. Be it night or day, always be fully aware of your surroundings. Always know where you are and what and who is around you. Always be considerate and respectful of your subject, be it an animal or a human or your poor husband who has had enough of you clicking away. When you get back to your lavish lodge, relax on the sumptuous bed and take a few minutes to sort, store and share your photos. Sort through them and delete any mistakes (photos of the floor or ones that make you look fat!) Remove them off your camera and store on an external drive. Share the day’s top 10 with your friends and family back home using social media. If you #iconicafrica we will put together your very own memoir of your trip for you! Know when to put your camera away and simply enjoy the experience. Savour the wonder that is the African wilderness and let the incredible sights, sounds and smells imprint on your heart… until you return. Should you have any questions at all please contact us.